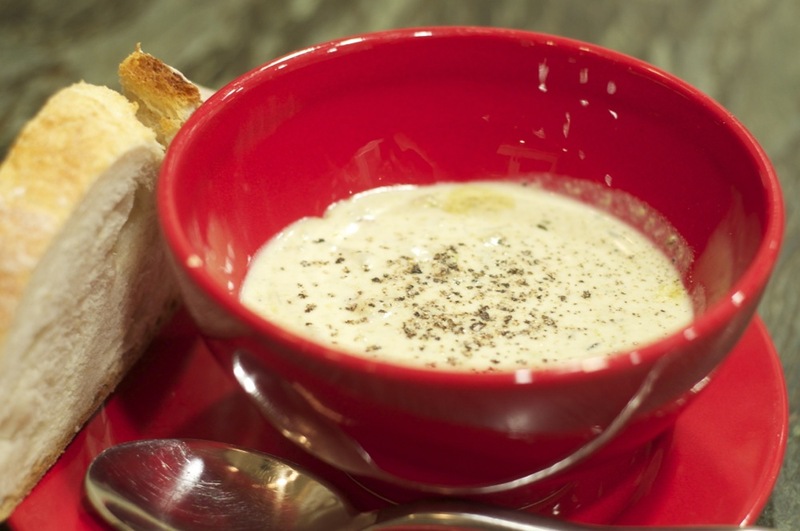 Growing up, I have vivid memories of my father making oyster soup. Surprisingly, out of a family of seven, it was just me and my dad who had any interest in oysters. My 7th grade mind remembers him pouring milk into a saucepan, adding about a half stick of butter, and when it came to a simmer, he would open up and pour in a few cans of oysters. Topped with a sprinkle of black pepper, was it ever good. Recently I tagged along with my husband to the Christian Community Development Association conference, mainly because it was in New Orleans, and while in NOLA we were lucky enough to dine at Donald Link’s restaurant called Herbsaint. While on lunch break one day, we wandered into this restaurant (honestly, we were just too hot and tired to walk any further) and what a nice surprise! 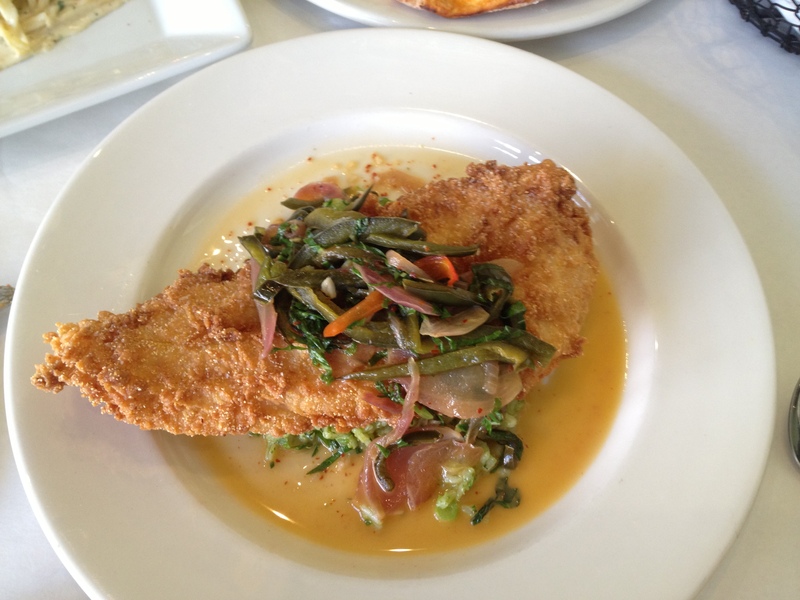 The photo above is of an amazing catfish dish that I enjoyed. We were all a bit surprised that the New Orleans small plates were larger than dishes we’ve been served at downtown L.A. restaurants. Another draw for me to tag along on this trip had to do with friends I made after Katrina. Our church had partnered with Christ Church in New Orleans East to re-build 11 houses, and after spending a couple of weeks tiling bathrooms and fireplaces several years ago, I found myself endeared with these wonderful people. 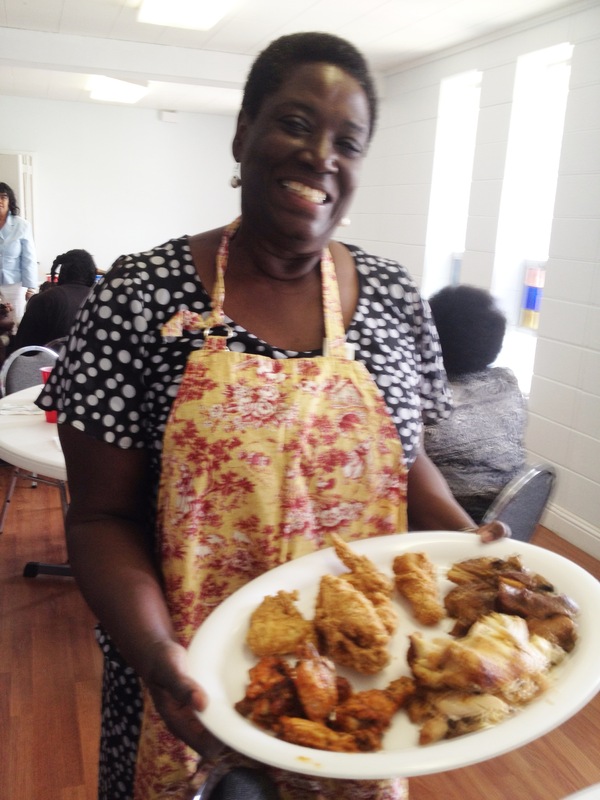 My friend Nancy surprised us a shortly after our return with a cookbook authored by Link called Real Cajun. Looking for inspiration for “what to make for dinner” this weekend, I stumbled across Link’s recipe for an oyster stew, and (oh my goodness!) were we ever in for a treat. 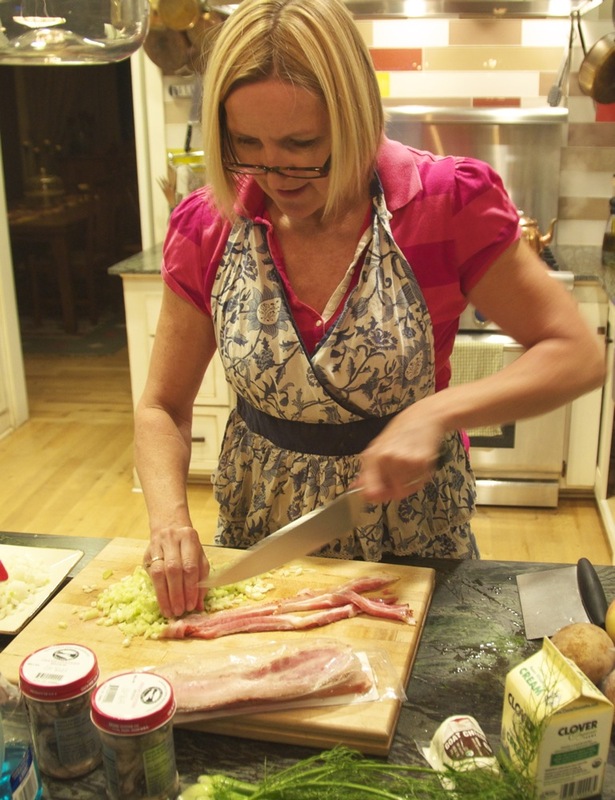 In the cookbook, Link explained the humble beginnings of this recipe. The first Friday that his restaurant Herbsaint was open after Hurricane Katrina, of the 40 people whom he ordinarily employed on a weekend night, only 7 could make it to the restaurant. His friend John Harris, chef at Lillette restaurant, called and offered to help in any way that he could. He and 2 of his waiters came to work with Link that night. Link described the evening “we never expected to be so slammed just 5 weeks after the worst natural disaster in American history, but we were, and we were running out of food fast.” Link asked John if he could create a new dish from his comparatively lean pantry, and he made this delicious stew in 30 minutes and the restaurant sold 25 orders in the second half of the night! Pick through the oysters to ensure they are clean of grit or shell (or buy them already shucked at Whole Foods, like I did!). Place half the oysters in a food processor and puree until smooth (I used my immersion blender which worked perfectly). Transfer the puree to a bowl and refrigerate along with the remaining whole oysters until needed. 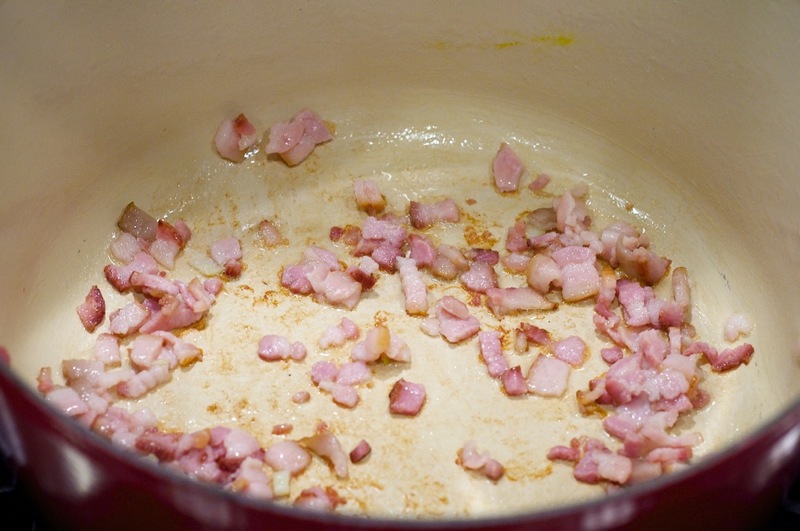 Heat the bacon in a large pot or Dutch oven over low heat until its fat is rendered and the bacon is just starting to sizzle 2-3 minutes. 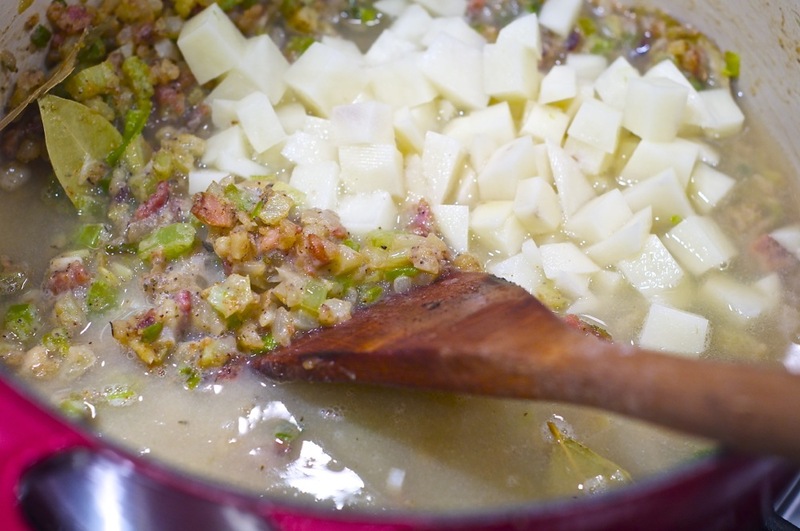 Add 1 tablespoon of butter and the onion, scallions, celery, fennel, garlic, bay leaves, salt, cayenne, pepper and thyme. Cook slowly, stirring frequently, until they are tender, about 10 minutes. 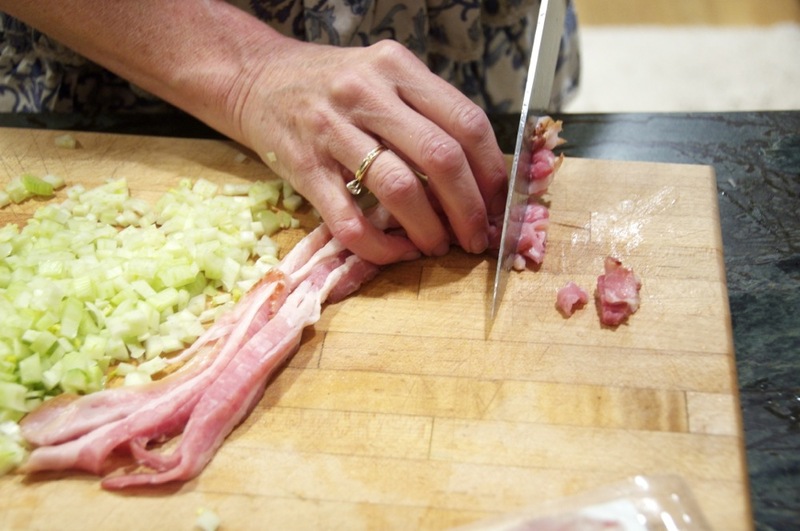 You want to “sweat” the vegetables so they soften and release their juices without browning them. 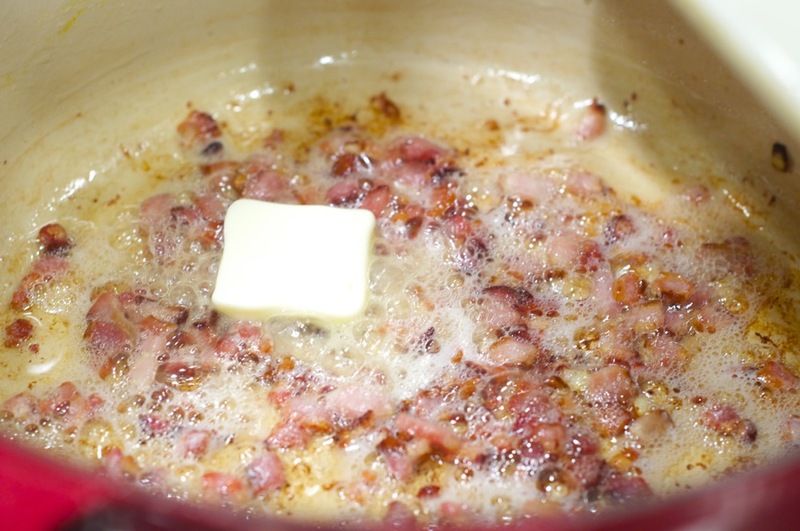 Add 2 more tablespoons of butter to the pot. As soon as the butter melts, add the flour and stir until ingredients are evenly coated. Add 2 cups reserved oyster liquor (I used my fish stock), the potato, and pureed oysters and bring to a simmer. Simmer gently for 15 minutes. Add 1 cup of cream and simmer for 5 more minutes. 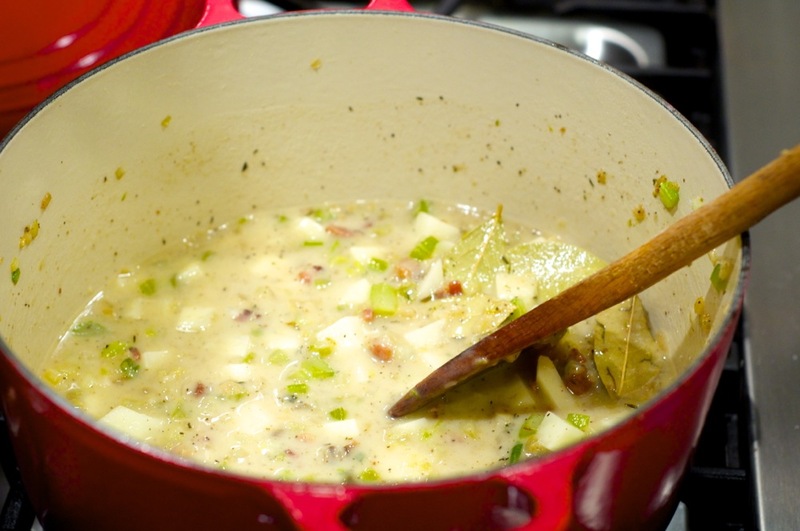 To finish the stew, add the last cup of cream, remaining tablespoon of butter, Herbsaint, and reserved whole oysters. Cook for 5 more minutes and serve. Note: If you do not have enough oyster liquor from the pint of oysters, add fish stock, chicken broth, or water, as needed.